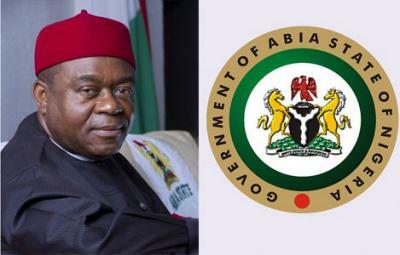 Governor Theodore Orji of Abia said in Umuahia on Monday that the task of transforming the state required the sacrifice of the people. Orji made the statement at the grand finale of activities organised by the government to mark the 21st anniversary of the creation of the state. The News Agency of Nigeria (NAN) reports that Abia was carved out of old Imo on Aug. 27, 1991 by the Gen. Ibrahim Babangida-led Federal Military Government. Represented by his deputy, retired Col. Emeka Ananaba, the governor said : ��our state is still the land of hope, of opportunities and the actualisation of the ingenuity of those who crave and work hard for fame and prosperity. ��This is what our people are known for and which our founding fathers yearned to promote in a unique state of their own, �� the governor said. He expressed the hope that the state would ��excel�� and urged the political class, captains of industry, traditional rulers and Abia people to collaborate with the government to build the state. He restated the commitment of his administration to ensure the rapid development of the state in all sectors. ��I assure Abians that our government will continue to do everything required to sustain the peace and security of lives that we have so doggedly won for our people, �� Orji said. Twenty prominent Abia indigenes and friends of the state received awards for their ��immense contributions�� toward the development of the state on the occasion. The awardees� include retired DIG Ivy Okoronkwo, , Editor, Thisday Newspapers, Ijeoma Nwogwugwu, Chief Victoria Akanwa, a renowned politician, and Ngozi Chikwendu, the immediate past Abia Head of Service. They were conferred with the title of ��Ada Ugo Abia, �� (Abia�s cherished daughters) at the ceremony that attracted eminent Abia sons and daughters from different spheres of life. Other notable Nigerians, who were bestowed with the title of ��Enyi Abia�� (Abia Elephant), were retired DIG Azubuko Udah,� Prof. Clifford Ohiagu, and Justice Ikechi Ogbuagu, a retired justice of the Supreme Court. Flying Eagles Coach John Obuh, who hails from the state, was conferred with the title of ��Oke Oji�� (the giant iroko) on the occasion. symbolised and promoted ��the ideals of excellence, resilience and human ingenuity ��. Dr Anagha Ezikpe, the Chairman of the event and one of the state�s founding fathers, commended the awardees for uplifting the state. Ezikpe recalled the challenges faced during the struggle for the creation of the state and expressed happiness over the current efforts for its transformation by the present administration. Some those at the event were Sen. Ike Nwachukwu, ;the� wife of a late Head of State, Mrs Victoria Aguiyi-Ironsi; and Chief Acho Nwakanma, a former deputy governor of the state.